Avocados are quickly earning a reputation as a superfood, and with good reason. The list of health benefits attached to avocados seems to get longer by the day. They are the best fruit source of vitamin E, they lower cholesterol, and they protect against macular degeneration and cataracts. 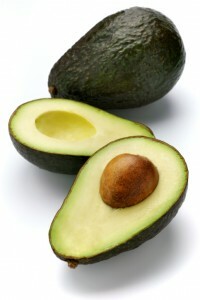 Avocados have also been shown to prevent breast and oral cancer. And because they’re packed with folate, avocados can lower the risk of heart disease and strokes for avocado lovers who indulge regularly. This article from BuzzFeed offers 9 different recipes to keep you wanting more avocados in your diet. Score the flesh in the avocado halves in a crosshatch pattern (not through the skin) with a knife and then scoop it with a spoon into the mortar or bowl. Toss well, then add the rest of the cilantro and mash very coarsely with a pestle or a fork. Season to taste with lime juice (if you’d like) and additional chile and salt. You may be sick of summer’s heat, but surely you’re not sick of its produce. Eat this simple salad as many times as you can before the season ends. With corn, avocado, and a healthy hit of herbs, it’s summer in a bowl. Pamper your surplus of squash in this zucchini carpaccio, studded with pistachios and layered with ripe avocado. You’ll end up with extra lemon salt, so use it to your advantage: swirl it into buttered pasta, dust it on cooked greens, or sprinkle onto a chocolate cookie. Keep your taste buds on their toes and take your guac to Southeast Asia. The addition of lime, fish sauce, and ginger take this classic dip to a completely different flavor continent. You can (and should) still serve it with chips, but it’ll be a whole new guacamole experience. With all of these scrumptious avocado recipes to choose from, you have no excuse not to indulge for the sake of your health. (And indulge for the sake of your taste buds.) And of course these are not the only ways to eat avocados, nor should they be. Adding avocados to any food helps your body absorb certain nutrients more effectively. So it isn’t a bad idea to add avocados to every salad you eat as well as adding them to other foods. An easy way to get your daily dose of avocados is to order any of a number of delicious authentic Mexican dishes at our Acapulcos Mexican Family Restaurants. We have 12 locations throughout Massachusetts and Connecticut and are happy to contribute to your health and well-being. Come on over! What are some creative ideas you’ve discovered for this wonder food? Please share!